Stamfords are a strong, people-driven, independently owned estate agency firm that fully embraces the latest advances in technology and delivers a highly personal and ultimately professional service to the buyer and seller alike. 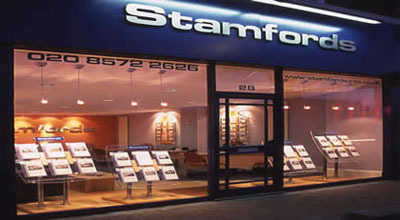 Stamfords LTD. Registered in Hounslow. Company No: 4224187. Registered Office Address: 28 Bath Road, Hounslow, Middlesex, TW3 3EB. Stamfords LTD. Registered in England. Company No: 4224187. Registered Office Address: 28 Bath Road, Hounslow, Middlesex, TW3 3EB.